During the Second World War, medical researchers and antivivisectionists drafted animals, primarily dogs, as partisans in the struggle over animal experimentation. 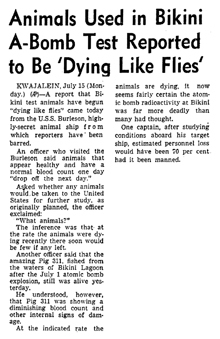 With the rise of Cold War, pervasive anticommunism and fears of atomic annihilation moved animals and animal experimentation to center stage, mediating fierce conflicts over medical research and international politics. Arriving in the Washington Navy Yard in September 1946, Pig 311 and Goat 315--both rare survivors of the Bikini explosion--are readied for transfer to the National Zoo. 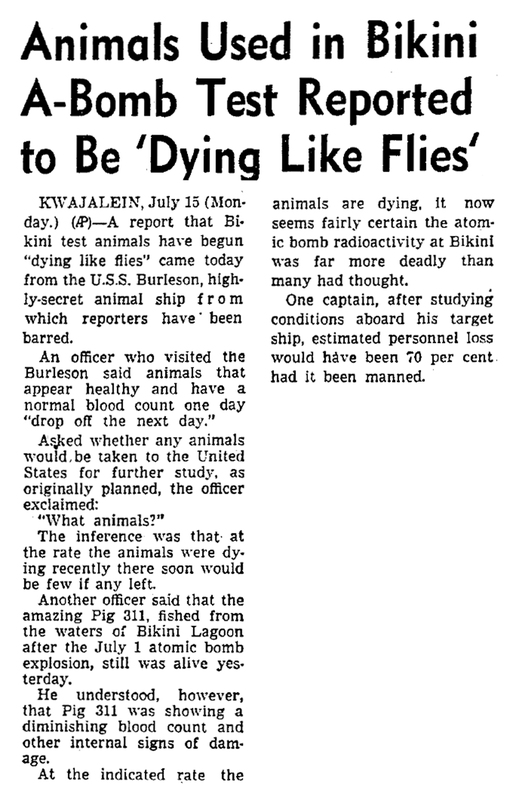 As part of the 1957 Operation Plumbbob atomic tests in the Nevada desert, military scientific personnel corral and gauge atomic blast and radiation burned pigs before loading them onto trucks for further research. 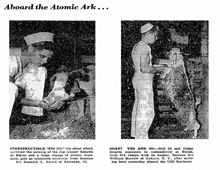 (United States Air Force Film: Operation Plumbbob Military Effects Studies. 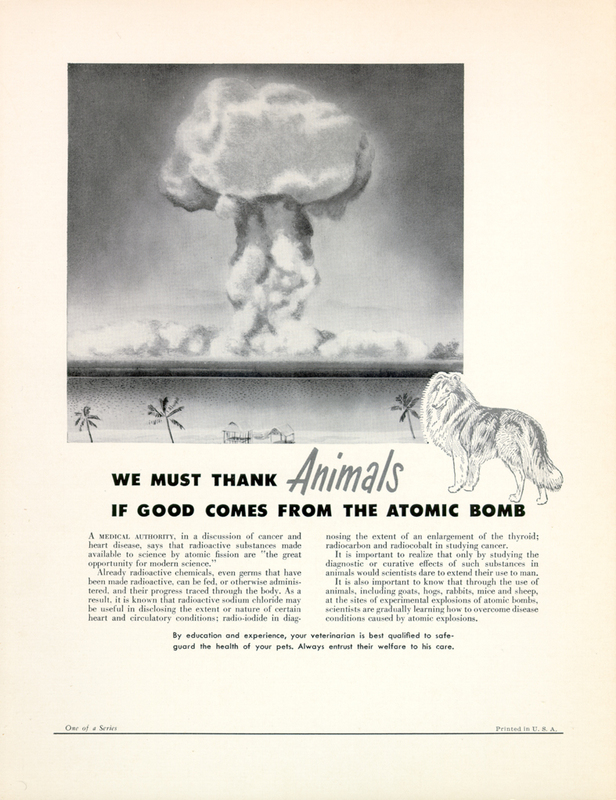 "We must thank animals if Good Comes from the Atomic Bomb." 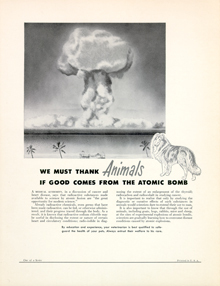 While military officials used animal experimentation to secure greater public support for atomic weaponry, scientists routinely highlighted military utility to garner popular support for animal experimentation, as can be seen in this 1952 advertisement created by the National Society for Medical Research and sponsored by Pitman Moore Pharmaceuticals.